We would like to send this special Christmas #carcapella out to all of you, our wonderful fans, and members of the extended Barefoot family and team. We had a beautiful holiday tour we couldn't be more grateful for all of your support as we approach 2018. As the song says, may God bless you and send you a happy new year! Merlefest on the Road Tour! We are very happy to be joining our friends The Way Down Wanderers and Andy May on the road this spring, representing one of our favorite festivals! ALBUM RELEASE TODAY + NEW MUSIC VIDEO! 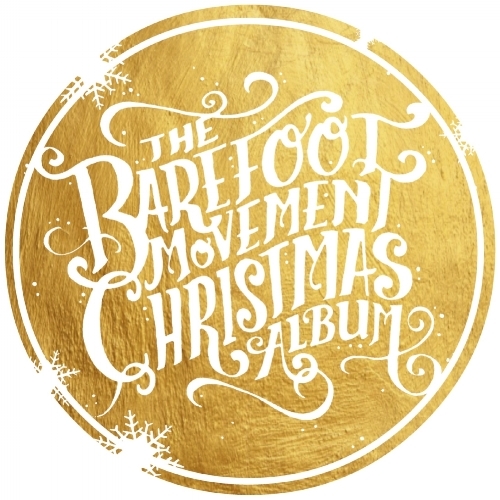 The holiday season has arrived and with it, The Barefoot Movement Christmas Album, available NOW! We are so excited to send this music your way! And check out our new music video for "Baby Please Come Home!" Filmed by Workshop Media out of Durham, NC. We hope you enjoy both the video and the album, and we'll see you on the road for our Christmas tour dates starting next week!! New Music Video for "Christmas Time Is Here!" We are thrilled to announce that we'll be back at Merlefest in 2018! Head to the tour page for more information!! The Barefoot Movement Christmas Album Releases 11/24/17! We are thrilled to announce the release of our full length Christmas Album! Look for it on November 24th! Here's a sneak peak of the cover art, by Bryan Crabtree!